From the outside it might look nice to be a furloughed federal employee, but the longest government shutdown in U.S. history isn’t a vacation. Many federal workers are having a hard time paying bills. In addition, they’ve been taking heat online from people who don’t understand. “Well at first I was just hoping it would be over soon, so I was just cleaning house and visiting friends. But then money started getting a little short,” said U.S. Forest Service employee Eric Adam. Adam is an Air Force veteran and has worked for the federal government for over 20 years. 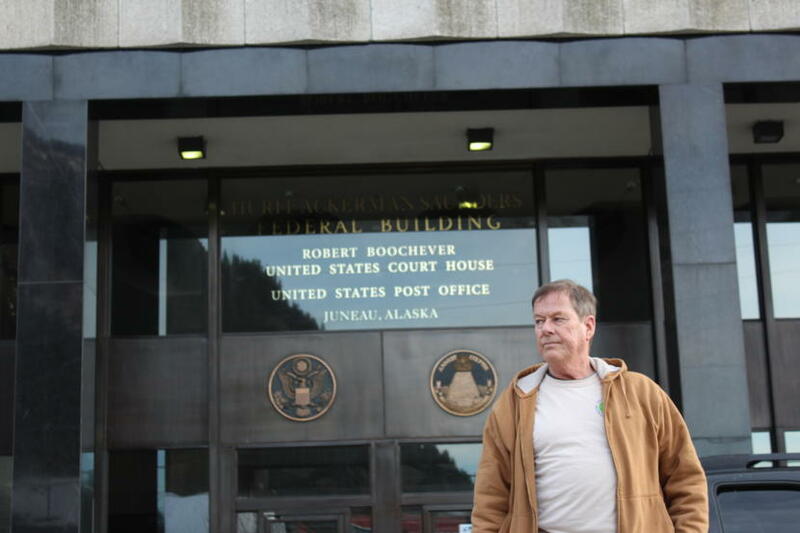 For the last three years, he’s been with the Forest Service in Juneau. He’s an administrator, supporting the agency’s work in many ways. Except now, everything’s off schedule. Adam works in the federal building with about 90 other Forest Service employees — and nearly all of them have had to stay home since the shutdown began. Adam said the shutdown is already hurting federal workers. He’s had to make partial payments on his rent and electric bill, and the worst part for him: He wasn’t able to make his child support payment this month. That comes out of his paycheck automatically, but his last paycheck didn’t come at all. He said his situation is not unique. Adam said he’s received some support from friends and others in Juneau, but he’s also heard a lot of criticism directed toward federal workers who’ve spoken out about what they’re dealing with. Adam isn’t the only one who’s been bothered by the negativity. Bunti Reed was at a church potluck when friends told her about a Facebook post they’d seen, written by a federal worker. “Somebody had posted a thank you to somebody that had bought them a cup of coffee, and they just were being appreciative of it. And instead of that standing, it sort of went, ‘You should have saved money, blah blah blah.’ Just this awful, judgmental group of trolls that started coming in and saying terrible things,” Reed said. With her family the next morning, an idea was born over eggs and ham for a fundraiser breakfast. Reed called her pastor at Aldersgate United Methodist Church about using the space, and the rest fell into place. All the food and supplies were donated. Reed estimates about 40 people showed up last Saturday to volunteer at the fundraiser, and almost 100 came to eat. They raised over $2,500. Reed wants to distribute that money to as many federal workers as possible, although she said they’re still sorting out the logistics. Adam, who volunteered at the event, said he appreciates the support. The way they’ll give back, Adam said, is by doing their jobs. “We want to start up again, man, we’re just wanting to go. You know? I’m tired of this. I want to go to work,” he said. Juneau Economic Development Council estimates there are around 670 federal workers in Juneau, not counting the Coast Guard. Altogether, the wages they missed out on last payday total about $2.3 million. If the shutdown continues through this Friday, they’ll miss that much again. 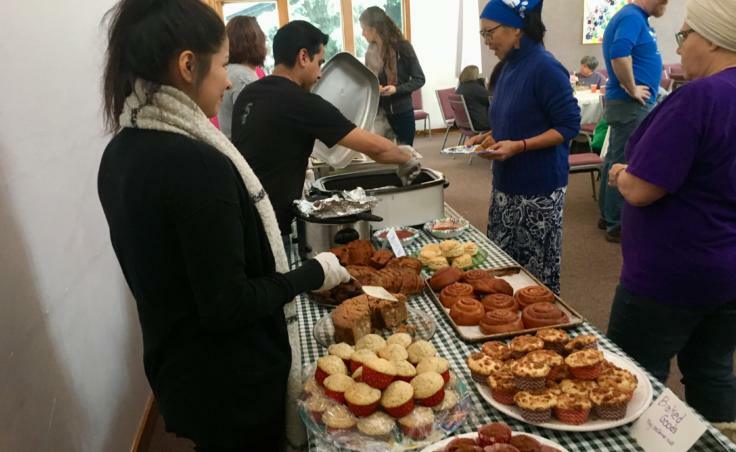 A community event to share resources available to furloughed federal workers is planned for Friday, Jan. 25, from 4-6 p.m. at the Juneau Arts & Culture Center.